Wee Gems Designs: Charmed Pennies Giveaway! With the Holidays right around the corner, I thought it would be fun to start by giving out pendants to my fans! I am giving away 5 prizes! 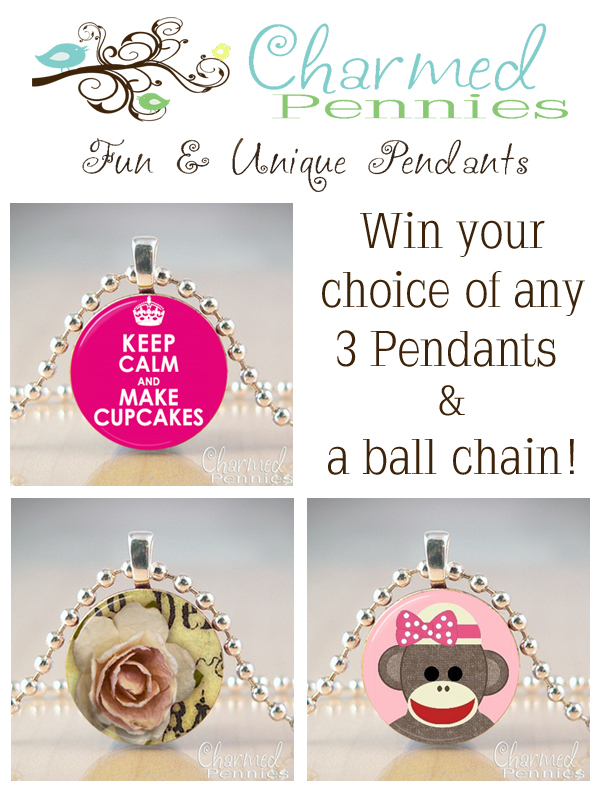 3 lucky winners will be able to pick out 3 Charmed Pennies of their choice and receive a ball chain necklace as well! 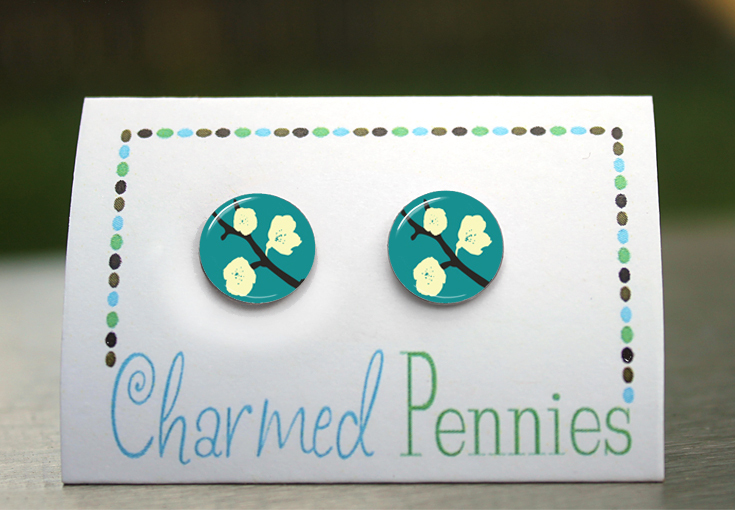 2 more winners will be able to pick out a pair of my new Charmed Penny earrings! Check them out! The Giveaway runs today through October 31st! I love the cupcakes pendants. Anni loved the american flag pendant I gave her last year for Christmas too! I love the music pendant. I love them all! They are so Cute! !